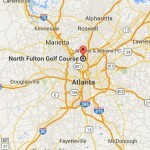 This year our annual golf tournament will be on Thursday October 18th at North Fulton Golf Course (Chastain Park). Sponsors and golfers enjoy a great day of golf, networking, gifts, prizes, beverages and meals throughout the day, and a wonderful golfers’ reception. Mark your calendar and get ready for the biggest and best blowout ever! You can register online and pay by credit card below or download the registration form if you would prefer to mail it in with a check. Save your team members from buying them at check-in. Remember that your contribution is tax deductible. Please save your receipt for tax purposes.